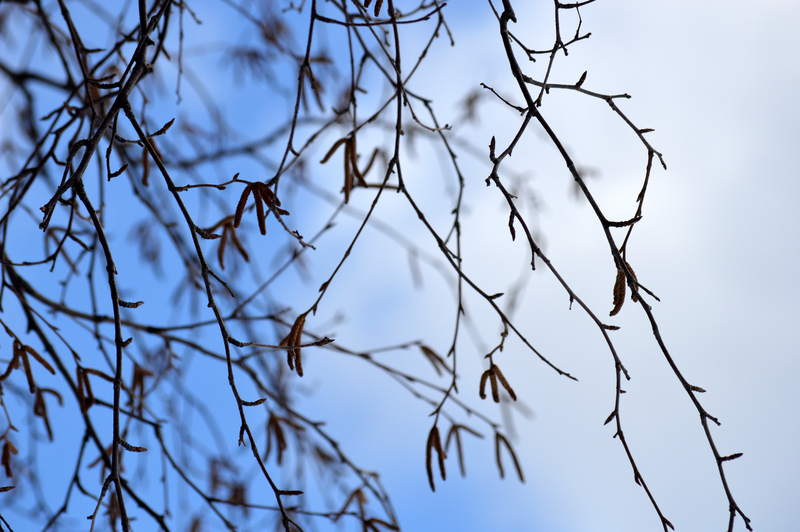 Bare birch branches stand out against the January blue sky. 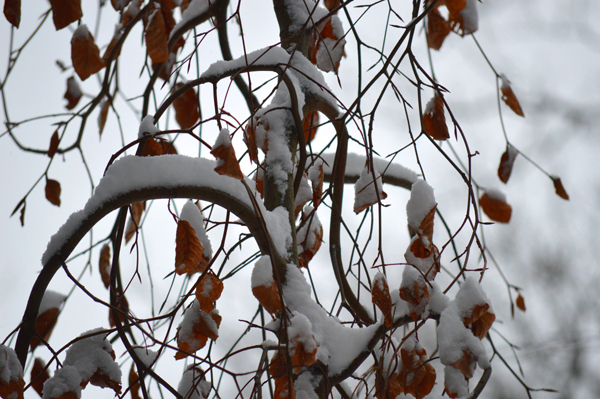 A pretty, ornate tree holds the snow along its curvy branches. 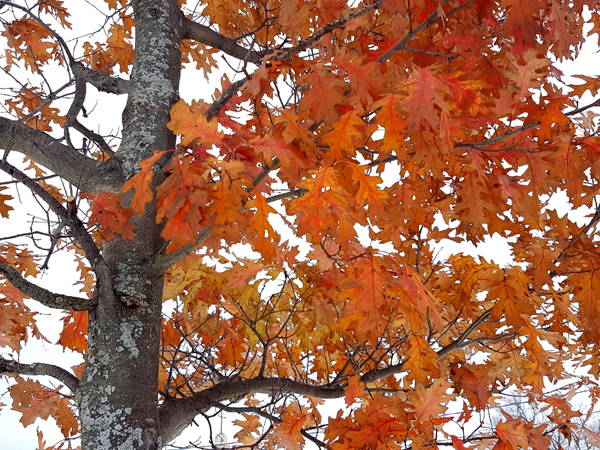 It’s amazing how oak trees hold onto their leaves so long. 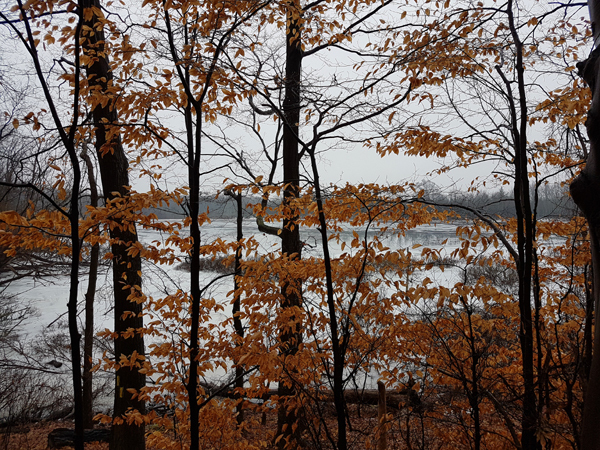 I took this image in late November and I noticed just the other day that most of these leaves are still hanging in there. 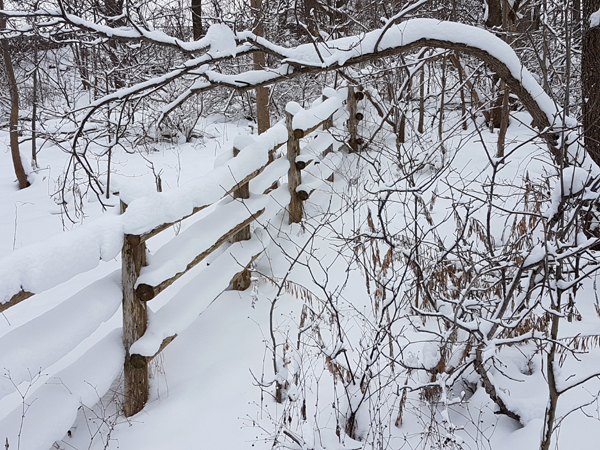 Snow managed to hang on the fence rails before it got all wet and heavy and dropped to the ground. 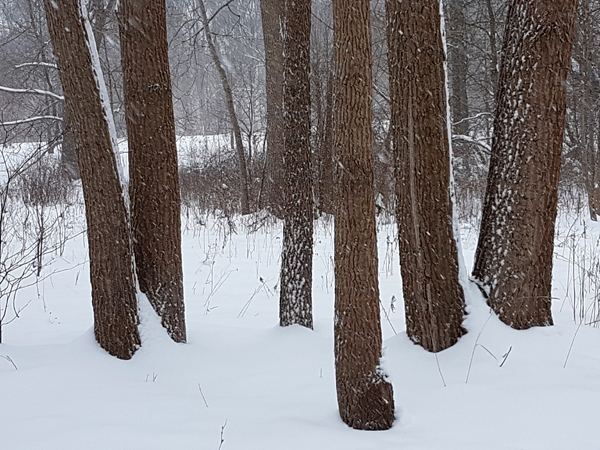 Six beautiful trees stand together at Medway Creek on a snowy January morning. 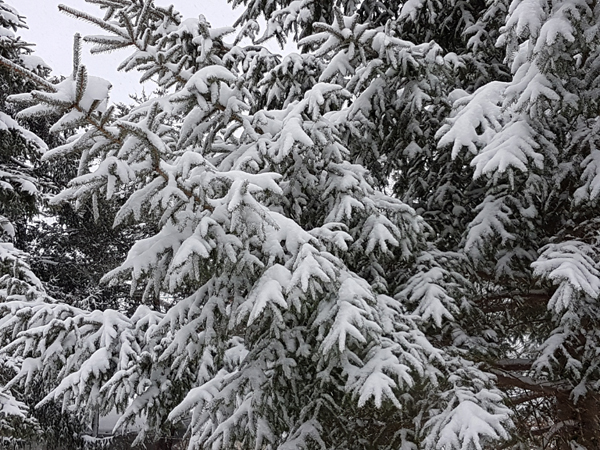 Snow accentuates beautiful patterns in the fir tree branches.